Provided are contact details for Avonmouth Driving Test Centre, test route tips, test booking information and help passing the driving test in Bristol. Test Centre Details: Test candidate car parking facilities available. Avonmouth Driving Test Centre will feature many busy, multi-lane roundabouts and sections of dual carriageways. Many road traffic systems such as roundabouts, crossroads and junctions on major and minor roads is to be expected. The test will incorporate a single test manoeuvre along with the emergency stop procedure that has a 1-in-3 possibility of being requested. All practical car tests now include approximately 20 minutes of independent driving. this requires the test candidate to follow a basic map shown by the examiner before setting off, following road signs or a combination of both. Driving test routes are not currently availalbe for Avonmouth Driving Test Centre. Check back soon for updates in the driving test routes section. Driving test are conducted at many of the UK driving test centres throughout the day Monday to Friday. Busier test centres may offer Saturday test bookings at a slightly higher booking fee. It’s generally in the test candidates best interest to book a test during the quieter periods of the day. This usually involves avoiding peak rush hour traffic. Practical driving tests in the UK are booked via the Driver and Vehicle Standards Agency (DVSA). Driving tests can be booked by telephone or via the internet (see below). To book a test at the Avonmouth Driving Test Centre, see the book a driving test section for booking contact telephone numbers. This is an automated service, though a DVSA assistant can be reached by following the options provided. The most popular method for booking a practical test is via the internet. Upon making a booking, the available times and dates will be displayed for your chosen test centre. To make a test booking at the Avonmouth Driving Test Centre, see the book a driving test section. 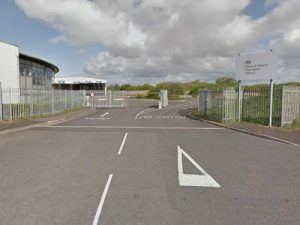 Avonmouth Driving Test Centre currently has no statistics. The driving test pass rates section may show driving test pass rate statistics for Avonmouth practical test centre soon. A member of staff can be contacted at your test centre to enquire on any general driving test questions you may have, for example if a test is still going ahead due to bad weather (See driving tests in bad weather for further information). Practical driving test can only be booked, cancelled or amended via the DVSA directly however. See above for details. The Avonmouth Driving Test Centre contact telephone numbers may be located within the driving test centre contact numbers section or obtained from your driving test confirmation letter or email. Reviews are a great way of letting people know what’s good or bad about a product or service. Write a review of either of the Avonmouth Driving Test Centres to let others know if you passed or failed the test, how difficult the test routes were, whether the test centre had adequate facilities and what your examiner was like on the day. It’s quick and simple – no signup necessary and only your nickname will be displayed. To ensure your review meets our guidelines, please read our Terms and Conditions prior to submission.